The process of selecting a shortlist of Labour candidates for the next general election in East Worthing and Shoreham appears to have been taken off the local party. Conservative MP Tim Loughton’s majority was cut from 14,949 votes to 5,116 at last year’s snap election, although his vote share only dropped by 0.5 per cent. Labour’s then parliamentary candidate Sophie Cook is bidding to be re-selected and a hustings was due to be held earlier this month where party members would be able to cast their votes. However the Herald understands the local party’s selection committee wanted to take Ms Cook off the three-strong shortlist the week before when details of her financial history were revealed. But when this was referred upwards Labour’s National Executive Committee felt there was insufficient evidence to drop her from the shortlist. This led to the two other candidates pulling out, leading to the hustings being postponed. Jennie Formby, general secretary of the Labour Party, has since written to members updating them on the process. She explained how the new selection committee would be made up of members from the party’s regional board alongside a representative of the NEC. When applications reopen Ms Cook will be automatically shortlisted. Ms Cook’s previous business Seeker Photography, which ran a free newspaper in Dorset, went into administration in 2013. Public records from January, 2017, from Companies House show the business had anticipated liabilities of almost £90,000 owed to creditors including HMRC, while the directors’ loan account was overdrawn with an outstanding balance of more than £20,000. According to the liquidator he was advised by Seeker Photography’s directors they had taken drawings to supplement their salaries from the company. Approached for comment, Ms Cook said: “I was proud to contest East Worthing and Shoreham for Labour in the snap election, and to increase our vote by 114 per cent. “During my campaign to be selected as the candidate I was overwhelmed by the positivity of the majority of members and their determination to return a Labour MP. 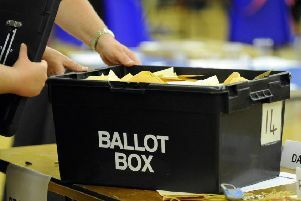 Worthing borough councillor Rebecca Cooper, who was one of the two shortlisted candidates to pull out, said: “East Worthing and Shoreham is a winnable seat for Labour, and we all wish to ensure that the process of candidate selection is transparent and fair. “I withdrew from the process of candidate selection this time as I was concerned that some aspects of the process were not well thought through.